It was the 'Mayfair Market'. It was a bit of a casino in it's own right. My somewhat misty recollection of the place includes a fairly large area for slots - maybe around one hundred or so. It was a great place to pick up room snacks etc. 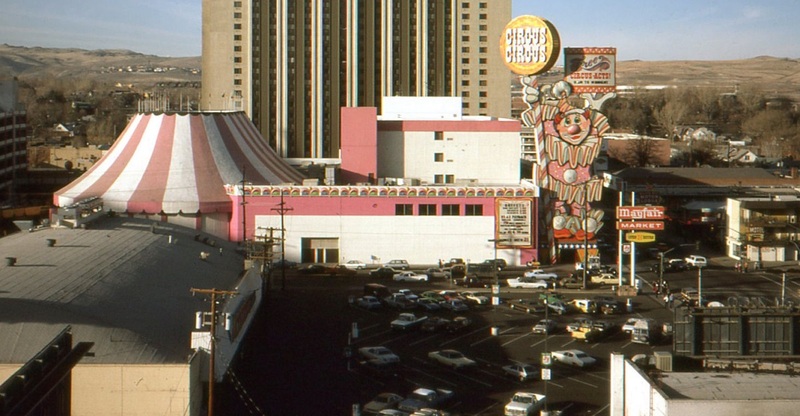 This photo is from my first Reno trip in January 1985. Lots of snow in Reno right now. Six feet in Tahoe.